A Farmer and the Secretary of Agriculture Manny Piñol denounce the recent statement of Vice President Maria Leonor "Leni" Robredo on the increase of the market prices of basic goods like the price hike of the rice. 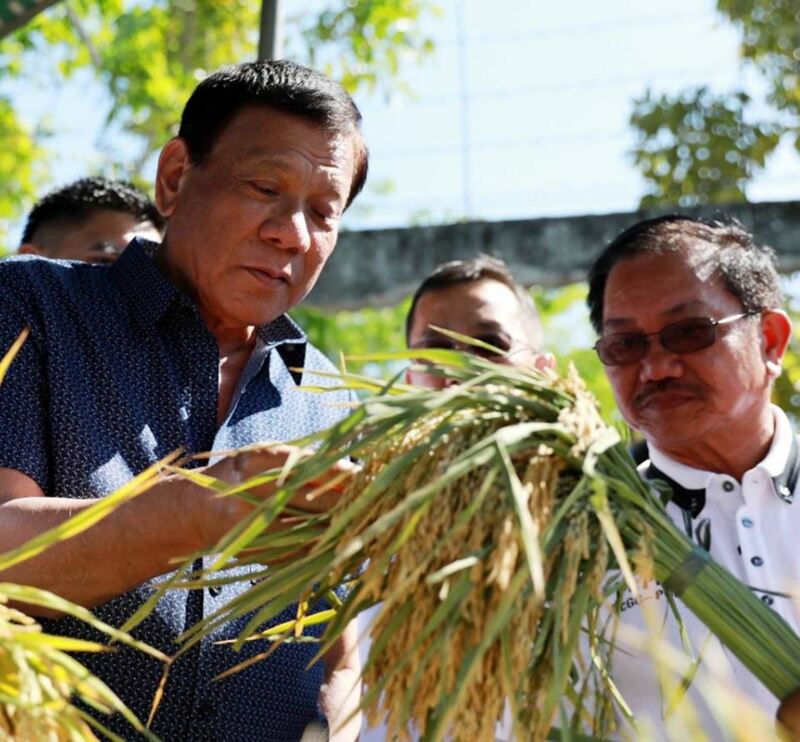 Piñol had once said to his department to “Leave politics to politicians and let us just focus on our task to help farmers and fishermen produce food for the country,” but this time said "I will have to cross the red line simply because one of the highest officials of this country has ventured into the realm of agriculture, not to help Filipino farmers, but to use rice as a political issue against this administration." 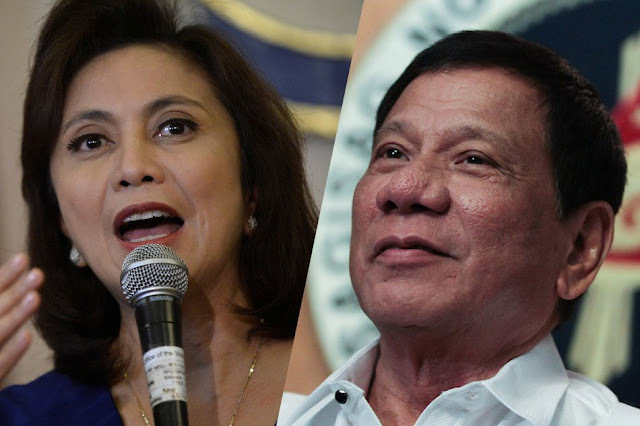 He criticized VP Robredo for her political maneuver using the price hike of rice to attack Duterte administration and who's also claiming that the increase of price has added the problem of the Filipino consumers using it as a proof that the administration has done little to address rising prices. 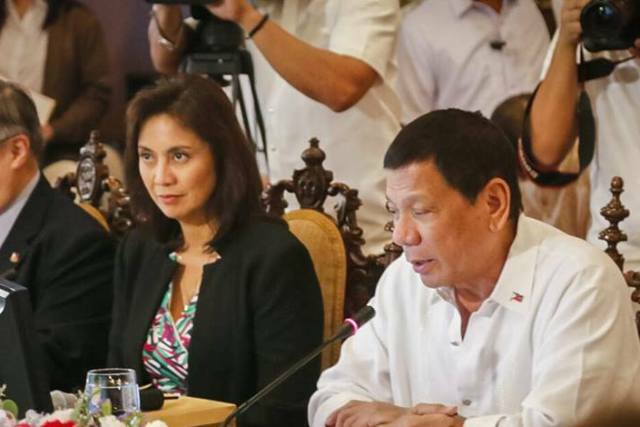 Agriculture Secretary also said that is willing to give the Vice President a briefing on the real state of the country's agriculture sector and Robredo should've asked for briefing from his department before using the rice issue to get back Duterte's objective assessment of her being incompetent of becoming a president. Ever since I assumed the position of Secretary of Agriculture, I have made it a policy not to dip my fingers into political issues and this is a policy which I have asked all other workers of this department to observe. “Leave politics to politicians and let us just focus on our task to help farmers and fishermen produce food for the country,” is my standing directive to workers in my department. This time, however, I will have to cross the red line simply because one of the highest officials of this country has ventured into the realm of agriculture, not to help Filipino farmers, but to use rice as a political issue against this administration. Two days ago, Vice President Leni Robredo in a press conference, made an off-the-cuff computation on the increase in the cost of rice which she claimed was hurting Filipino consumers using it as a proof that the administration has done little to address rising prices. Not only was her “40 x 4 = 1,600” ridiculously and atrociously wrong, it actually showed her lack of profound understanding of the true state of Philippine Agriculture and the poverty that pervades in the farming and fisheries sectors. Worse, she perpetuated the injustice which has long been inflicted on Filipino farmers and fishermen who always get the blame when the price of rice, fish, meat and vegetables tick up a little in the market. I can understand that she made a mental computation of the “40 x 4” which resulted in the wrong total of “P1,600” but what I cannot comprehend is why use the increase in the price of rice to emphasize that something is wrong with the way President Duterte is running government? 1. In 2008, the government support price for palay procurement was P17 per kilo, clean and dry at 14% moisture content. Today, 2018 or 10 years later, it is still P17, although rice farmers are happier now because the buying price by private rice traders has reached historic high at P21.50 per kilo. Using these numbers, a poor rice farmer who owns one hectare of un-rrigated land which produces 4 metric tons once a year could now earn P86,000 which with a production cost of P12 per kilo would earn him a net of P36,000. That net earnings, divided into 12 months would mean a monthly income of P3,166. 2. In 2008, the Cost of Living at Current Prices Per Family Per Year was P63,246.19, Today, 10 years later, the Cost of Living Per Family Per Year is at P110,690.45 or an increase of P47,444, which number if divided into 12 would mean that an average family has to spend P3,953 every month to lead a decent life. These numbers indicate that even at current buying prices of paddy rice which the PSA indicated were at historic high, the small rice farmer in an unirrigated rice farm is still short by a little over P700 per month to cope up with the high Cost of Living and this means that he has to do away with the simple luxiries in life, like perhaps a colored TV which is an ubiquitous equipment in almost all households and he could not even bring his children to the mall. The story may be different for the rice farmer whose field is irrigated and who could harvest 6 metric tons twice a year but this group represents only 1/3 of the total number of rice farmers in the country. So, going back to the issue of why the price of rice has gone up, the basic and simple answer is it is because the Cost of Living has gone up. Tuition fees (although this is now free in state colleges and universities) have gone up over the last 10 years; fuel prices have gone up and down and up again over the last 10 years; the cost of farm inputs, including seeds, has increased tremendously; the cost of transport, handling and labor has gone up; and even cost of fare for both land and sea transportation has gone up. While policemen, teachers, government workers and even ordinary office workers have enjoyed tremendous increases in their salaries and wages over the last 10 years, the ordinary rice farmer’s monthly income has increased by only about P750 per month over the last 10 years. In spite of the neglect and lack of understanding of some of our top officials of the actual state of life of the Filipino farmers and fishermen, they have steadily contributed to stabilizing the supply of food in the country. Last year, rice farmers produced 19.3-million metric tons of paddy rice which was the highest in the country’s history; the hog and poultry industry, with minimal help from government have performed dramatically; the fisheries sector is recovering from years of neglect; corn farmers have produced more than enough for the country’s requirements while the high value crops farmers have steadily earned foreign exchange for the country. There are reforms being implemented in the Agriculture and Fisheries sectors like improving farm mechanization and providing post-harvest facilities but the effects of these efforts would not be felt right away. I do not want to sound arrogant but to those who are asking farmers and fishermen to bring down the price of their produce, let me give them this answer: Yes, the farmers and fishermen could do that, provided, however, that you bring down the cost of tuition, fertilizer, farm inputs, fuel and the other things they need to produce and survive. People must realize that farmers and fishermen too have families to raise, children to send to school and they too dream of simple luxuries and comfort in life. “Hindi lang naman kayo ang anak ng Diyos." I mean no disrespect to Vice President Robredo but perhaps she should have asked for a briefing from the Department of Agriculture before attempting to use the rice issue to get back at President Rody Duterte who gave an unflattering evaluation of her capacity to lead the country. Even this late, however, I am still offering to give Vice President Robredo a briefing on the State of Philippine Agriculture to help her realize that the “Laylayan ng Lipunan” that she fondly talks about and says have been neglected by government are actually the farmers and fishermen, the very people whose lives will be affected if she continues to use the price of rice and other food commodity as a political issue.